Step into the awe-inspiring and magical world of a young rabbit and her gang of woodland creatures in a unique and modern take on the classic children’s novel, The Tortoise and the Hare. 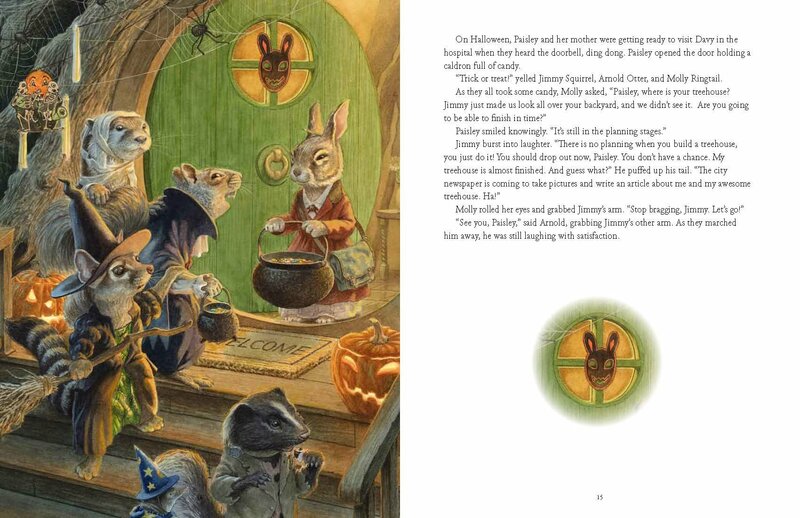 Set for release on March 1st, 2018 – Paisley Rabbit is filled with astonishing, award-winning illustrations throughout, this title is a timeless read that opens children’s minds and will leave them wanting to read over and over again. 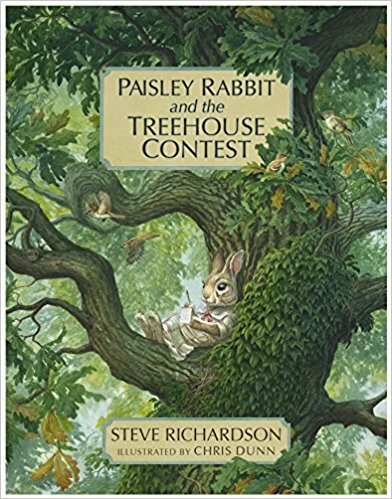 As a seasoned children’s author, Steve Richardson writes his newest book–Paisley Rabbit and the Treehouse Contest that praises one gutsy heroine’s imagination and the power of determination. In a delightful tale of defying the odds, Paisley Rabbit takes readers through the story of a lone girl rabbit competing against her friends to win a big treehouse construction contest. 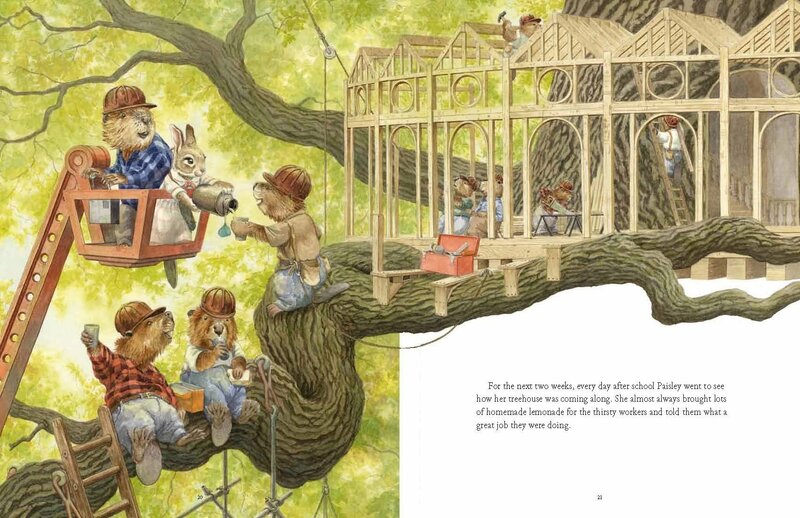 When the school year starts, Jimmy Squirrel, whose dad owns the biggest construction company in the city, challenges a close group of friends to a treehouse contest. To everyone’s surprise, Paisley Rabbit, who has never touched a hammer or a nail and has no one to help her, joins the contest as a long shot to win. 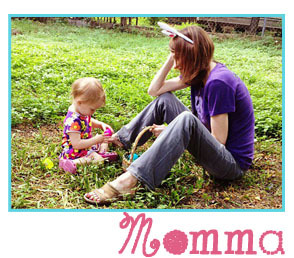 But as thing heat up, Paisley shows she has some tricks up her sleeve. Helping the less fortunate—winning can be fun but helping others is ALWAYS much more satisfying! You can do anything when you put your mind to it—utilize your own talents and seek out other people who are brilliant to create a group masterpiece! About the Author: Steve Richardson is a three-time award-winning author from Albuquerque, New Mexico. He is also the author of Lavender Blue and the Faeries of Galtee Wood, illustrated by Larry MacDougall; Billy’s Mountain, illustrated by Herb Leonhard; Alexander Trout’s Amazing Adventure, illustrated by Marie Beschorner; and Canlandia, illustrated by Fiona Sansom. Canlandia won the Pinnacle Book Achievement Award in 2014 and was named the 2014 New Mexico / Arizona Book Awards best book in juvenile fiction 2014. Lavender Blue won the Pinnacle Book Achievement Award for best in juvenile fiction in 2013. Connect with Steve Richardson on Facebook and learn more about the author and Paisley Rabbit and the Treehouse Contest including Paisley Rabbit Thank You Cards that can be ordered separately and the Common Core Lesson Plan for the book available for download at www.richardsonauthor.com.